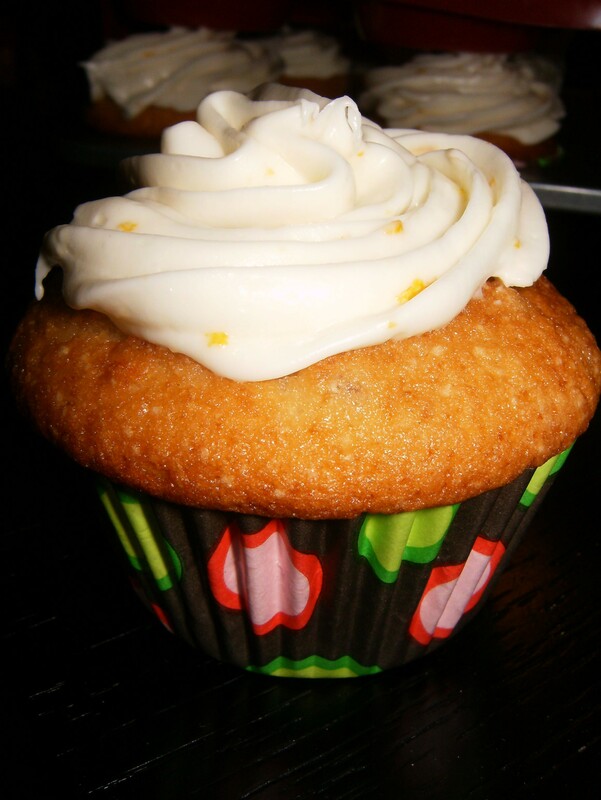 Orange-Cranberry Cupcakes | Cupcake Villains Strike Again! 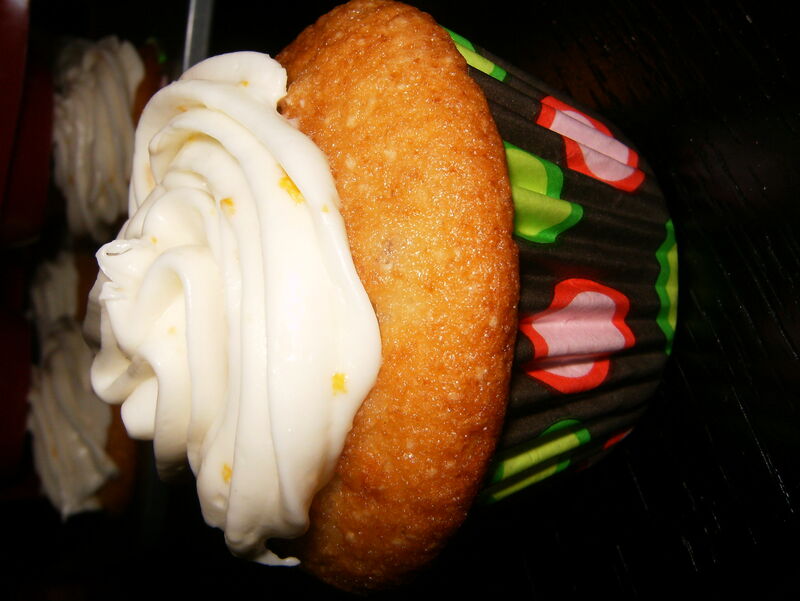 Continuing with the fall themed cupcakes, I bring you….Orange-Cranberry! The result of these was wonderful; they were tart and sweet at the same time. Next time, I would experiment with using fresh, seasonal cranberries instead of dried ones. 1. Zest two oranges (the ones that will give you your fresh juice) and set aside to be used in the frosting. 2. In a small bowl, combine the dried cranberries and fresh orange juice (make sure there’s enough juice to cover the cranberries). Let this soak for at least an hour. 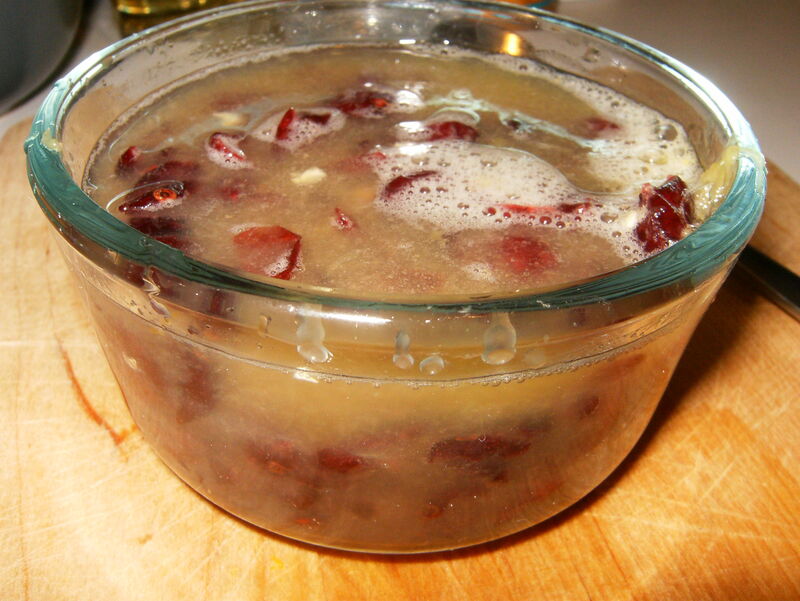 After the cranberries have “rehydrated,” pour them and the orange juice into a food process and blend til smooth. Measure out 1/2 a cup of this mixture and set aside. 3. Cream together the better and sugar until well combined and fluffy. Add and mix in each egg one at a time. Beat in vanilla. Alternately add dry ingredients (flour, salt, and baking powder) and wet ingredients (milk and cranberries), beating after each addition just until combined. 4. Spoon batter into lined or greased cupcake tins, filling about 3/4 full. Bake at 375 degrees for approximately 16-19 minutes. Cool before frosting. Beat the cream cheese until smooth. Begin to add the powdered sugar until you reach a consistency and taste you like. 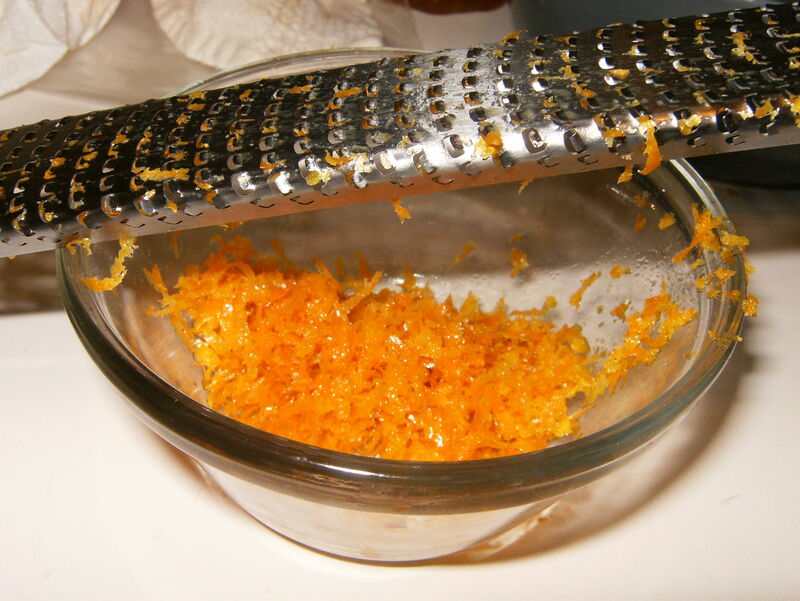 Beat in the orange zest. Pipe and enjoy! on November 24, 2010 at 2:38 am | Reply Katie V.O. a) I am sooooo making these tomorrow. Yikes! Typo :) Thanks Katie. Let me know how they turn out! 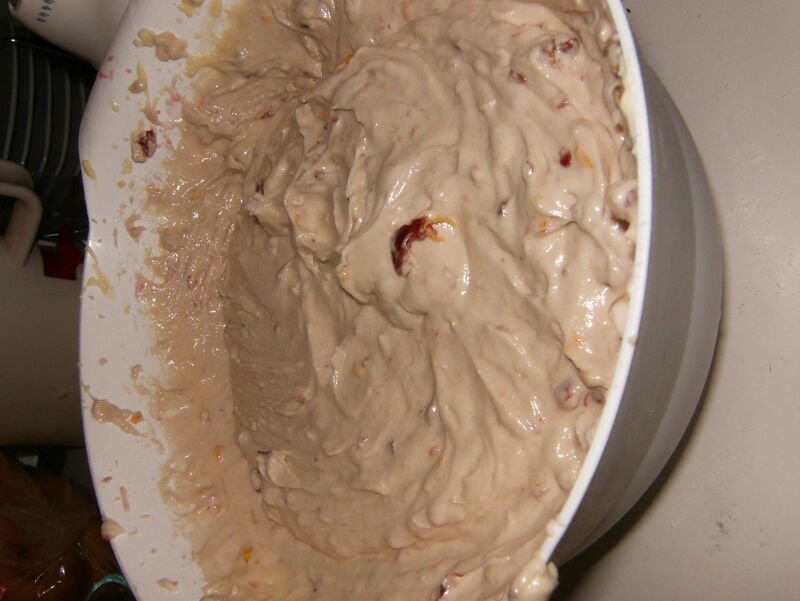 Do you use the 1/2 cup of Cranberry mixture as part of the wet ingredients or what is left after you remove the half a cup? Sorry for the late response! I used the 1/2 cup in the wet ingredients. I would like to know how many cupcakes this recipe is for. I need to prepared 30 cupcakes for my daughters b-day and I wonder how can I multiply the ingredients. Based on the amount of flour and my memory of making them 2 years ago, I would say that this recipe makes approximately 2 dozen cupcakes!